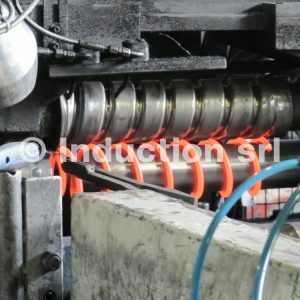 Automotive: Springs – Leaf Springs. 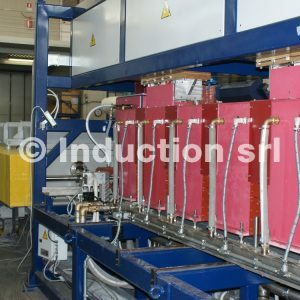 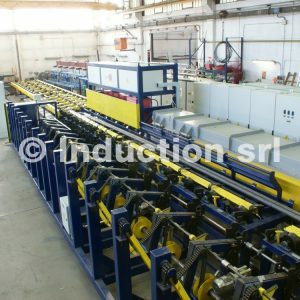 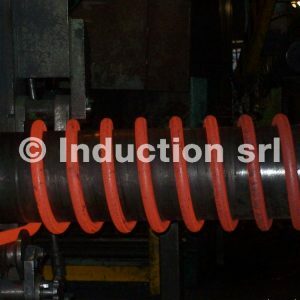 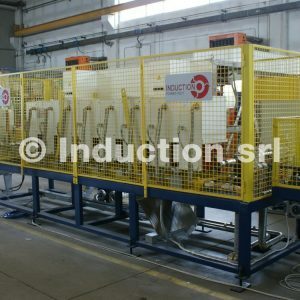 Production lines are a consolidated product in Induction, as they allow the complex heating system to optimize end-of line mechanics by fully leveraging the properties and the potential of induction heating. 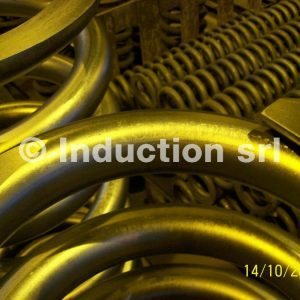 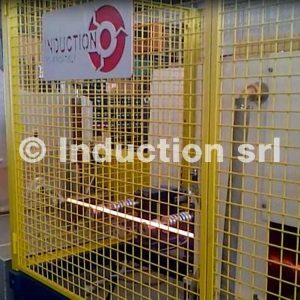 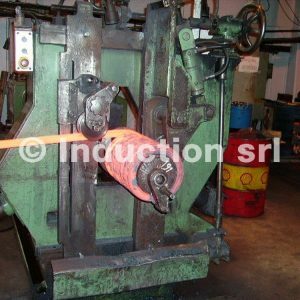 In fact, the induction furnace allows to maintain low cycle times, even though particular and irregular thermal profiles are required according to the type of machining that the bar must undergo. 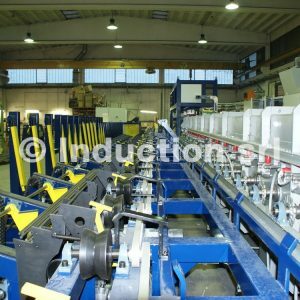 Moving, storing and automation mechanics allow the entire line to be easily controlled and managed from the control panel. 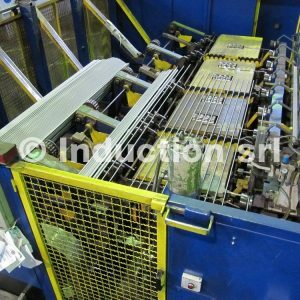 Given the need to adapt new product lines in preexistent production processes, it is often necessary to fit the machine layout to the availability of space within the system. 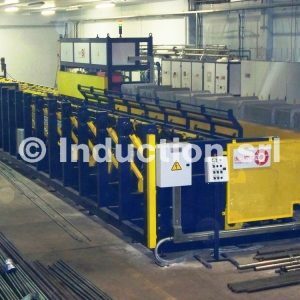 Induction often assumes the role of supplying turn-key work centers, and for this reason it’s equipped with a design staff able to analyze and propose solutions for systems that allow to satisfy all customer needs while maintaining product quality characteristics.